Vitamix 5300 Review - It is still a good Vitamix model to get in 2019 ? Vitamix 5300 Review – It is still a good Vitamix model to get in 2019 ? When the Vitamix 5300 first came out it was a little confusing because it combines features from multiple product lines. The 5300 became known as the Costco Vitamix model since it was designed for Costco and used extensively in Vitamix demonstrations at Costco. Other Vitamix models have been introduced since the 5300, so the big questions are if the 5300 is still a good Vitamix model to get in 2019 and is it the best model for you? 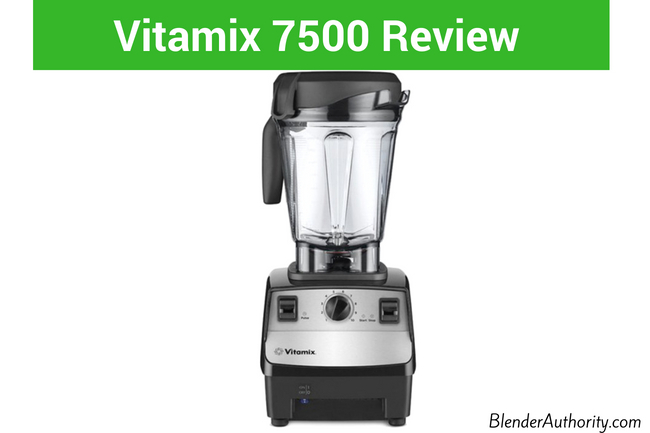 In this Vitamix 5300 review I will cover all the details you need to make the best decision including comparing it to other popular Vitamix blenders. Performance – What can the Vitamix 5300 do ? The Vitamix 5300 is commonly referred to as a hybrid model in that it is a mix between their classic C series and next generation G series product lines. It is technically part of their C series product line and is built on the classic legacy C series base but offers a more powerful 2.2 horsepower motor and new low profile 64 ounce container. The stronger motor and low profile container are key features found in the newer G series product line. Although the 5300 has the same power and blending container as the G series blenders, the 5300 is not built on the G series blender base. Therefore it lacks the new airflow design and noise dampening features found on G series blenders. Understanding the low profile container: The traditional C-series Vitamix models have a 2 horsepower motor and are designed to work well with the narrow tall container. Whereas, the new low profile containers have longer 4 inch blades and a wider base than the traditional tall Vitamix containers and therefore require the slightly stronger motor. The tall 64oz classic container has a narrower base which allows it to blend any batch size and creates a good vortex for consistent blending. It is taller and therefore does not fit under a typical kitchen cabinet when sitting on a Vitamix blender. The 64oz Low profile jar works well for blending larger amounts of thicker recipes, crushing ice and food prep where you don’t want to puree the ingredients. Thick recipes are slightly easier to clean out compared to the tall narrow container. The 64oz low profile container does struggle with small batches and recipes with less liquid as the wider base makes it hard to create a proper vortex. The low profile container is shorter and therefore allows the blender to fit under a kitchen cabinet. The 5300 measures 17.25 inches tall and weighs 12 pounds. It features the popular 10 speed variable control dial and a pulse lever when you don’t want to puree the ingredients. It comes with the low profile 64 ounce container, low profile tamper and “Getting Started Plus” 65 recipe book. This blender model is available in black or red color. The 2.2 HP motor (120 V, 11.5 Amps, 50/60 Hz) is plenty of power and can do any blending task. It offers essentially the same performance as the powerful G series blenders. The 5300 is designed on the classic C series base so it does not have the same internal design of the G series blenders. The G series blenders have a redesigned cooling system to reduce overheating and longer blending times. Despite having similar motor speed, the 5300 is louder than next generation G series blenders because the G series has a better noise dampening design. Vitamix claims that the G series are up to 40% quieter than C series blenders. The controls on the 5300 are simple and user friendly. I personally like that is doesn’t have any electronic controls or LED screens that can break. It offers Vitamix’s popular 10 speed variable control with a wide range of true speeds. The 5300 has a useful pulse switch which works at any speed compared to the C series 5200 that only has an on/off lever instead of a pulse lever. It also has a start/stop switch and a master on/off power switch in front. It comes with the new low-profile Vitamix tamper which is a different design from the classic tamper. The tamper that comes with the 5300 will work with the low profile 64oz and 40oz containers only. It helps with the wide jar as there is more room for ingredients to push out to the side. The tamper integrates with the removable lid cap. With its 2.2 horsepower motor it can handle just about any difficult blending task you give it such as nut butters, flour, food prep, smoothies, dough, raw soups, and more. The main limitation is the wide 64oz low profile jar can’t do small jobs well as it just pushes the ingredients to the side of the jar. Consumers who are used to the normal narrow Vitamix jar can be frustrated initially with the new wide jar’s inability to blend small batches. The only solution to this is getting an additional small jar like the 32oz jar. NOTE – You are not supposed to use the classic 64oz tall container on the 5300. Positives: Blends very well with the power of the 2.2 HP motor. The low profile container is excellent for thick recipes and food prep where you have chunky ingredients. Simple to use controls with an adjustable speed pulse lever and ever-popular 10 speed control dial. The 5300 offers similar performance to Consumer Reports top high performance blender pick Vitamix 750. The 5300 has been a top seller at Costco for years. Negatives: While the 5300 has a more powerful motor versus C-series models it doesn’t have the other design features of the G-series blenders such as noise dampening and new air cooling design for longer blend times. The low profile container isn’t ideal for blending small batches(typically under 2 cups) and dry ingredients as well in comparison to the classic tall container because of the wide base. Some users end up buying a second container(32oz) for small recipes. Overall Opinion: The 5300 is a solid blender if you want the new 2.2 HP motor and low profile jar. It has continued to be a popular model since its introduction but Costco no longer carries it. NOTE– Costco now sells the Explorian E320 which is essentially the same as the 5300(see comparison below). The 5300 is a solid choice if you want the low profile container design and similar performance as a more expensive G series 7500 (see vitamix 5300 vs 7500 comparison below). The downside is the inability to blend small batches with the 64oz jar. If price is a big focus for you then a reconditioned 5300 is a great choice. 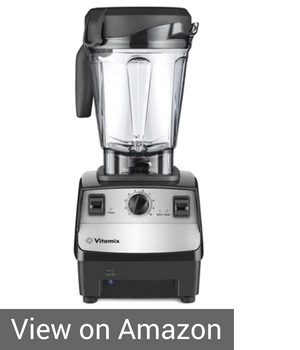 –> Click here for NEW Vitamix 5300 current price. –> Click Here for RECONDITIONED Vitamix 5300 current Price . Vitamix Certified Refurbished (aka “Reconditioned”) blenders are like new and have gone through extensive checks by the factory before they are certified. Sometimes they are just units that were returned during the initial trial period and barely used. The main difference is that factory certified reconditioned models have a 5 year full warranty versus a new 5300 blender has 7 year warranty. I would highly recommend a certified 5300 refurbished blender as they offer a great value. Costco no longer carries the 5300 and it isn’t widely available among retailers. Typically the best price I have seen for new 5300 blenders is on Amazon (cheaper than Vitamix website). For certified reconditioned 5300 blenders, you can find them at Vitamix’s website or on Amazon (Amazon is a direct seller of Vitamix). Amazon currently has the refurbished 5300 for a much lower price than Vitamix. The 5300 is very simple to use since it has no preset blending programs. Just press down on the start/stop switch and slowly turn the variable speed dial (start at the lowest speed of 1) to the desired setting depending on the recipe and ingredients used. At the end of blending just press the start/stop switch down and turn the dial back to speed 1. The Vitamix is designed to be self cooling so it is made to operate efficiently at a high speed for long durations by drawing in more airflow. Therefore you don’t want to blend at a low speed for long or it will cause the machine’s overload protection to turn off the machine. The pulse switch works at whatever speed you have the variable speed dial set to. Just press down however long you want to pulse for. What containers can you use with the 5300? Besides the 64oz low profile containers that comes with the blender, the 5300 also works with the 32oz wet container, 48oz wet container, and 32oz dry grains container. For a little more money the G series 7500 is a good alternative and is probably the most popular Vitamix legacy model. The 7500 offers similar performance and functionality as the 5300 but the 7500 is as much as 40% quieter as it is built on the upgraded G-series base. If noise is a concern then go with the 7500. See our Vitamix 7500 review for more details. Both are part of the classic C series product line and are built on the classic C series base. The 5200 is the original design and has been a top seller for many years because of its versatility. The 5300’s motor has a slight upgrade in horsepower to 2.2 HP versus the 5200’s 2 HP. The slight increase in horsepower allows the 5300 to properly run the low-profile container which uses a longer blending blade. For controls, the 5200 does not have a dedicated pulse switch so you have to use the on/off lever. Whereas the 5300 has a pulse lever that works at any speed you set the speed dial to. Instead of a pulse lever on the the 5200, there is a lever for high/variable so to replicate “High speed” on the 5300 you would just turn the Variable speed dial to 10. The 5200 is 20.25 inches tall with the tall 64 container versus the 5300 is 17.25 inches tall with the low profile 64 ounce container. (The 5300 with container on top will fit under a kitchen cabinet). While the 5300 has a slight increase in power, the blending results are similar between the two models. The 5300 is slightly louder than the Vitamix 5200. Some people prefer the tall classic container because it works with small batches and creates a vortex easily for consistent blending whereas some people prefer the low profile wide container. The Vitamix 5300 and Vitamix 6500 are essentially the same blender with a 2.2 HP motor and the same low profile 64oz container. The only difference is that the 6500 includes 3 pre-programmed blending programs (smoothies, frozen desserts, hot soups). The 6300 is essentially the Vitamix 5200 with preset blending programs. Both are part of the C series product line. The 6300 has the classic 2 HP motor versus the 5300’s 2.2 HP motor. The 6300 comes with the tall container versus the 5300’s low profile wide container. The 6300(same as the 500 Pro) is fine if you want the classic tall container with preset blending functions. Otherwise, if you want the low profile container then go with the 5300. See Vitamix 6300 Review for more details. The Ascent product line is Vitamix’s newest line and features newly designed containers and technology. It also has a longer warranty(10 years) and latest design. The Ascent a2300 is the most basic Ascent model and probably the closest Ascent model to the 5300 in regards to controls and features. The ascent blender line use the new smart jar wireless self-detect technology so they are not interchangeable with legacy Vitamix containers. Both models come with a wide base 64 oz container so neither is very good at blending small batches. You would need to buy an additional small container for small batches. For power, both the 5300 and a2300 have a 2.2 horsepower motor and provide similar blending performance. Besides the difference in price, the decision really comes down to if you want the latest technology and new blender jars of the Ascent or if you want the classic 5300 design that uses the legacy jars. The Vitamix 5300 and Explorian e320 are essentially the same blender with same 7 year warranty. Costco sold the 5300 for years but now sells the E320 as a replacement for the 5300. The E320 and 5300 both have a 2.2 HP motor and same 64oz low profile container. Both also come with the same 7 year warranty. Despite the E320 just being introduced in late 2017, it is not built on the Next Generation blender base and therefore is almost the same as the 5300 in terms of performance, features, and noise. While the E320 motor base does have an updated look, the 5300 feels a little sturdier built. See our Explorian review for a comparison on the E310 vs E320. Overall, the the 5300 and e320 offer the same performance so go with whatever one offers the best price. The 5300 and 750 both use the same low profile 64oz jar and have similar 2.2 HP motors. While they offer similar horsepower, the 750 is slightly stronger. The 780 is the top of the line model in the next generation G series. It has a digital toughpad controls and preset blending programs. The 780 is just a high tech version of the Vitamix 750. The 780 is quieter with a sleeker design compared to the 5300. The blending results are similar between the two models but the 780 is more expensive. Ninja has a lot of different blender models and the latest competing model to Vitamix is the Ninja Chef blender. The Ninja Chef is less powerful at 1500 watts but offers a range of preset controls and similar tamper to the Vitamix 5300. The Ninja comes with a 72 oz pitcher. You will notice that Ninja blenders are not built to the quality levels of a Vitamix and therefore probably won’t last as long for frequent users. The Ninja does offer nice features for the price and is worth considering if you are on a strict budget but you might be better off paying a little more for a reconditioned Vitamix. Also Ninja comes with a 1 year warranty versus Vitamix’s 5 year or 7 year warranty. Read our Vitamix vs Ninja guide for a more detailed comparison of the brands. Blendtec is an excellent brand and known for being able to blend extremely fine smoothies. There are multiple Blendtec brands but the Designer series is a good comparison to the Vitamix 5300. Both blenders have similar performance. The Blendtec has a powerful motor with digital controls. The Blendtec doesn’t have a tamper which can be an issue for thick recipes where you need to move the ingredients around. We like Blendtec but have a slight preference for Vitamix due the for the better range of low speeds, simple controls, and performance with food prep/thick recipes. See our review of the Designer 625 blender for more details. The 5300 is a solid blender that blends as well as the more expensive G series blenders but is more affordably priced. Essentially the 5300 is just a modified C-series blender with a little more power to accommodate the longer 4 inch blade of the low profile container. It is a good choice if you don’t care about having pre-set blending programs and understand that you might need to buy an additional container for small batches because of the low profile container. It is not our absolute favorite Vitamix blender but is an excellent choice for the price especially if you get a factory refurbished 5300. Click Here for Vitamix 5300 Current Price.